Importance Ratings are scored by Managers and Self-raters in order to evaluate the significance of specific competencies in the target’s role. 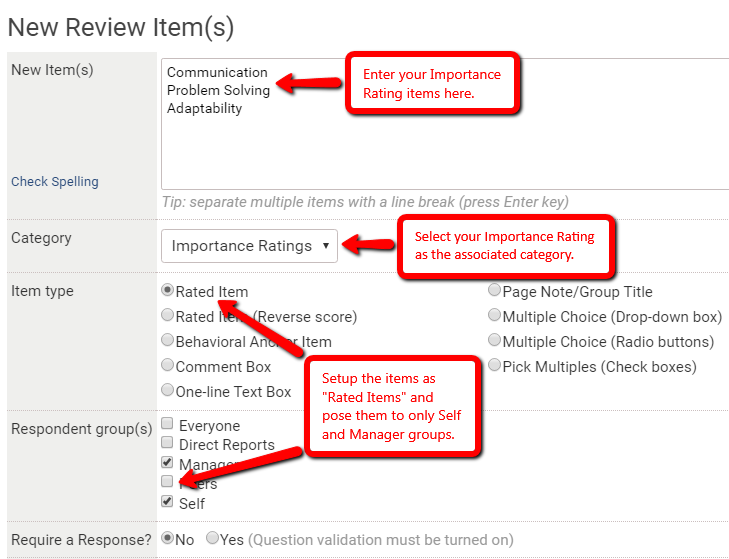 The importance items appear the same as other rated items in the review, but are scored using the Importance Ratings scale described below. These ratings may help targets realize development opportunities in their current role. 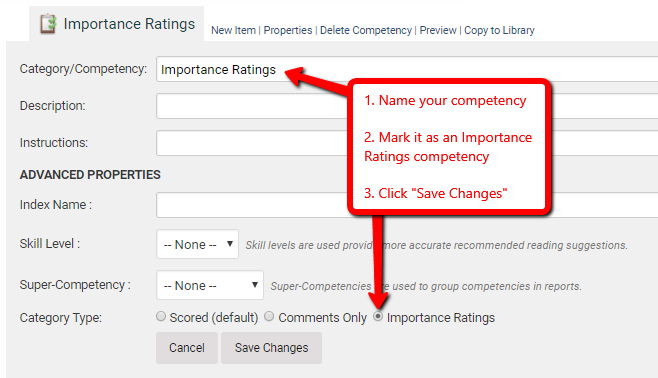 Click the "New Competency" button at the top of the review items page. Type in your Importance category name. 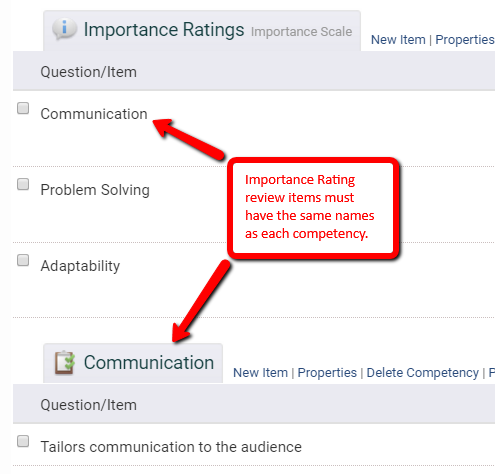 Click the “Properties” link next to the competency name. 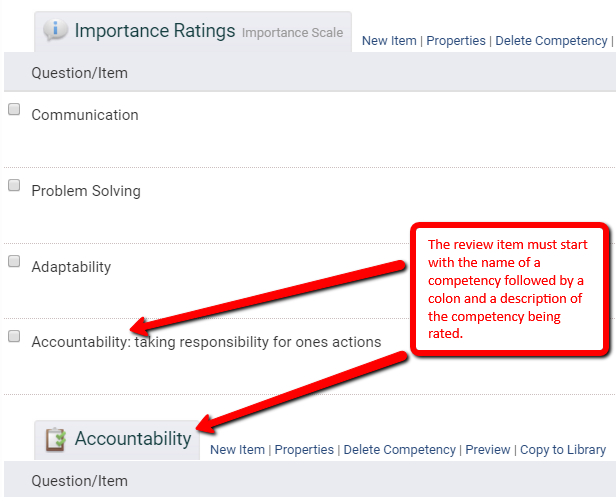 The review item must have the same name as a competency (For example, an “Accountability” review item will need to match to an “Accountability” competency name). Or, the review item must start with the name of a competency followed by a colon and a description of the competency being rated. (For example, the Importance Rating item, “Accountability: taking responsibility for ones actions” must match to the competency named “Accountability”).